Catalogue > Cities: maps and sights of cities and villages > 1. North Brabant and Limburg > HEUSDEN. Heusden en Huis Meeuwen. 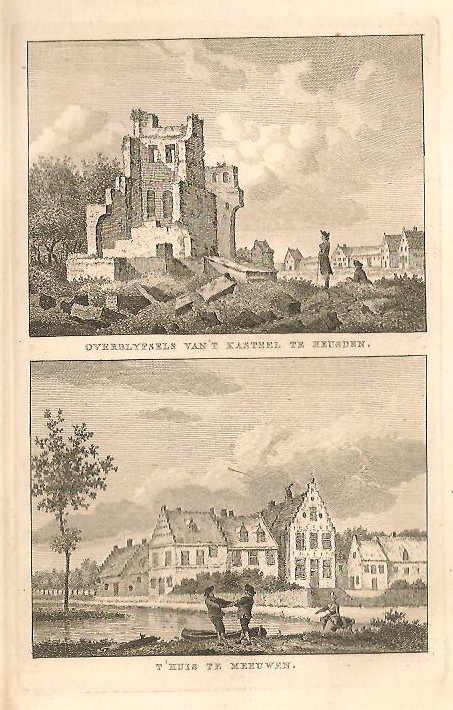 "OVERBLYFSELS VAN'T KASTEEL TE HEUSDEN. / T'HUIS TE MEEUWEN."